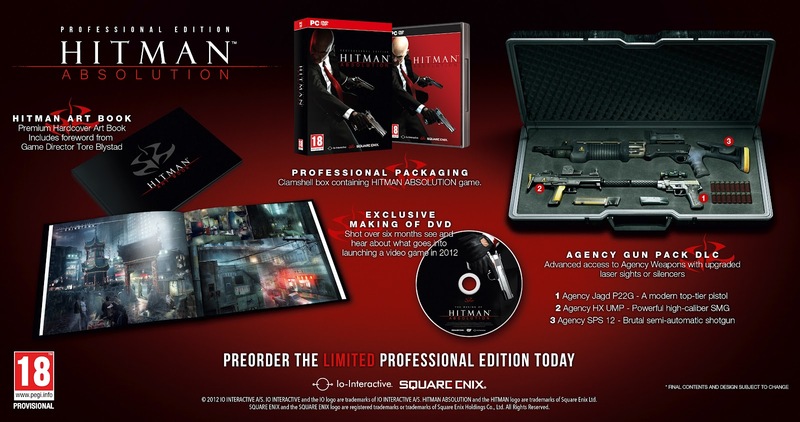 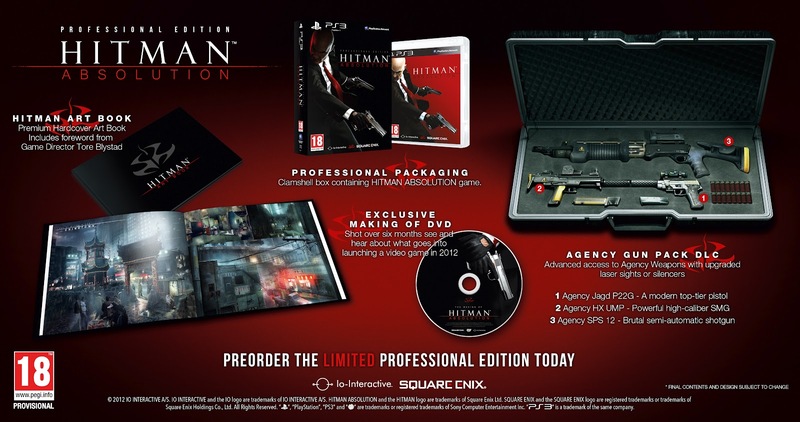 Today, Square Enix revealed the Professional Edition for their upcoming game, Hitman: Absolution which features a premium hardcover art book with a foreword from Game Director Tore Blystad, and an exclusive behind-the-scenes “making of” video, all packaged up in a clamshell box! 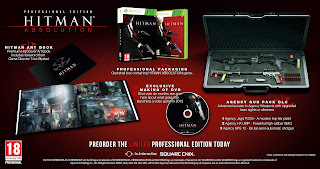 Hitman: Absolution Professional Edition also includes advanced access to a range of in-game Agency Weapons, giving the Original Assassin a deadly edge over his enemies from the outset. The Agency Jagd P22G pistol will suit the silent assassins, whilst the Agency HX UMP SMG and the Agency SPS 12 semi-automatic shotgun will give Agent 47 the power to fight his foes head on. 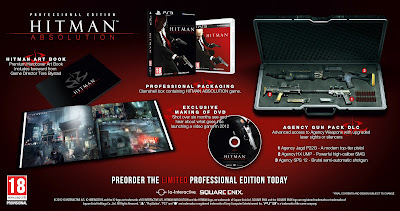 See the Professional Edition from the PlayStation 3, PC and Xbox 360 below!